Home Blogs Arzu Merali's Blog The Banality and Boredom of Anti-Muslim Witch-hunts; or Beware John Ware! So it is now the turn of Muslim NGOs MEND and CAGE for the John Ware treatment in this week’s Dispatches (Channel 4). John who? – I hear you cry. Well, in short he is someone who has made a career out of exceptionalising Muslims, their political activities, calls for equality and actually just general day to day doings, as things utterly alien, extraordinary and sinister. This would be fine if these things were indeed any or all of the above, but as anyone who watched his latest salvo against Muslim political organisation in the UK can attest, quite probably a supermarket shopping list could be given the ‘evidence of extremism’ treatment. For one glorious moment, whilst watching on catch-up the next day, I thought Chris Morris had donned prosthetics and was attempting to spoof Ware’s career as witchfinder general. Alas, mockumentary it was not, and once I realised this, then I was just bored. Stupefyingly bored. And by the end of the twenty whatever minutes also tired. So I could unpack the content, and the ‘argument’ that MEND and CAGE are extremists. But why? We have been down this road so many times before, many of them ‘led’ by John Ware himself. There were his concerns over Muslim politics in Tower Hamlets, his take on 5Pillars.com and Haitham Haddad versus Sara Khan and crew, or his many ravings on the same and more: the Muslim Brotherhood, Trojan Horse, Extremism and so on for StandPoint, or his diatribes about Al-Quds DayÂÂ in The Jewish ChronicleÂÂ atÂÂ which he was an unlikely attendee last year. Indeed he has in recent years become some sort of fixture at Muslim events, either in person (I remember he showed up at the launch of Environment of Hate: The New Normal for Muslims in the UK in 2015) or through undercover representatives as in this week’s Dispatches. Yet what he ‘uncovers’ is really just his ongoing mantra against Muslims and in particular the idea of Muslims having any sort of political agency. 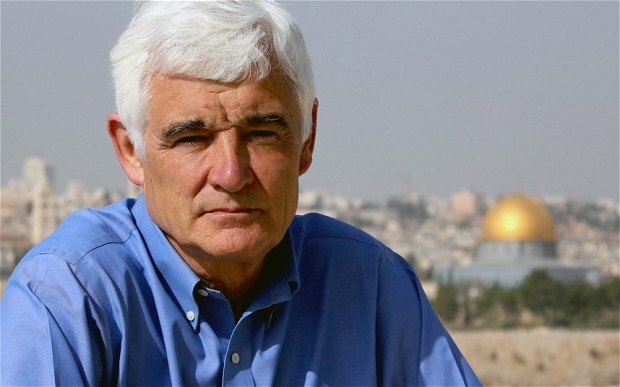 Variously describing us as extremists and occasionally racists, his arguments seek to alienate us in whatever form from the political establishment (this week he targeted Jeremy Corbyn, a favourite, Baroness Warsi and Vince Cable) and to denounce any foreign policy concern any of us may hold, the chief of which – Palestine – gains most of his ire. And as far as the personal slights go, any number of those Ware has targeted could and indeed do laugh it off, but the continued existence of the Ware- like voice in British politics and media is what we need to focus on. Whilst Ware himself may be reaching his sell by date, the ideas of Muslim entryism and conspiracy have reached new and alarming proportions. This month, as Peter Oborne reports on these pages, Ipsos Mori research has shown up that most general beliefs about Muslims are simply untrue whilst the very real grievances of Muslims themselves are unheeded or diminished. This however is nothing more than a repeat of the findings of the British Muslims Expectations of the Government project funded by the Joseph Rowntree Charitable Trust between 2004 and 2007. Six volumes of painstaking, academically rigorous research later, would that we were at least at an impasse. Instead many of the things spoken about then can literally no longer be expressed. An example is the need for dual space for religious minority children in education which have now been demonised first in the Trojan Horse Affair and more generally across Jewish, Muslim and Christian faith schools. No longer allowed to have expectations, Muslims (first, and then people of colour and minoritised faiths subsequently) must capitulate to the demands of a society hell bent it seems on a new form of puritanical unanimity. For the problem with witchfinders whether of the McCarthy or Salem type, is that whilst comic in their delusions, they will and must find witches. Once the climate changes to support their cries, then someone has to pay. Yesteryear and today John Ware saw Muslims as such. Tomorrow? Arzu MeraliÂÂ is a writer and researcher based in London.She is one of the co-founders of the Islamic Human Rights Commission (https://www.ihrc.org.uk) and co-authored its recent studyÂÂ Environment of Hate: The New Normal for Muslims in the UKÂÂ with Saied Reza Ameli. She is currently working on the multi-partner project ‘Counter Islamophobia Toolkit’ with the University of Leeds. A version of this article first appeared on MiddleEastEye on 29 March 2018.